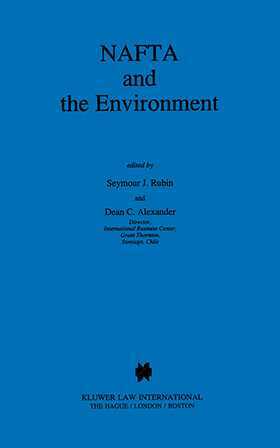 This book presents various perspectives on the environmental aspects of the North American Free Trade Agreement (NAFTA), including the North American Agreement on Environmental Cooperation (NAAEC). Among the issues discussed are the environmental regulations of the NAFTA nations and Chile, as well as the environmental implications of conducting cross-border business. These topics are addressed in an interdisciplinary manner, focusing on legal, economic, social, political and scientific issues, with contributions from American, Canadian, Mexican and Chilean authors. The book is invaluable as it provides a broad outlook on multifaceted environmental issues in a single volume. This book is the third volume in our NAFTA Law and Policy series, which offers high-quality studies on different aspects of NAFTA, including legal analysis and commentary on the Agreement. The numerous areas covered by the series include NAFTA topics as diverse as agriculture, dispute settlement, intellectual property rights, investment and labour.